Comprehensive safety training the AHA way! Renew your certification every two years. 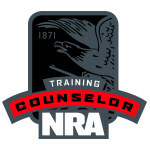 We are affiliated with an AHA Training Center. First Aid: Learn how to respond to common first aid emergencies on and off the range, including gunshot wounds, severe bleeding, burns, cuts, head, neck and back injuries and more. Would you know what to do in a cardiac, breathing or first aid emergency? The right answer could help you save a life. With an emphasis on hands-on learning, our First Aid/CPR course will give you the skills to save a life. All course options align with OSHA’s Best Practices for Workplace First Aid Training Programs and are available in classroom and group setting. Certification is issued upon successful completion and is good for 2 years. Cardiopulmonary Resuscitation (CPR) can help save lives. In 1990 cardiovascular disease accounted for more than 900,000 deaths, including nearly 500,000 due to heart attack, according to the American Heart Association. About two-thirds of deaths from heart attacks occur before the victim reaches the hospital. This is where you are of most value. Many deaths can be prevented if someone trained in CPR provides prompt, life-saving measures until trained professionals take over. You can make a difference! 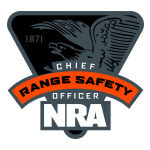 Highly recommended for all NRA Instructors, Range Safety Officers and Chief Range Safety Officers.